JANUARY 10: Polaris Industries has today announced it will cease production of its Victory Motorcycles brand over the next 18 months. The company will focus its efforts towards the Indian Motorcycle brand. “To all Victory owners both new and old, we sincerely thank you for your passion and commitment. “I have been privileged enough to meet and ride with many of you at rides and other events and look forward to riding with you well into the future. “We and our dealer network are committed to continue to supply parts, service and warranty to ensure this happens. “Although a tough time for all of our staff, dealers and of course riders who have put an enormous amount of blood, sweat and tears into Victory, there is a lot to be proud of and celebrate. 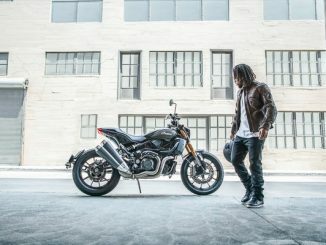 “Victory will always be a great motorcycle and a great brand that has punched well above its weight in Australia and New Zealand and forged a legacy that will take a lot of beating. “Victory Owners will always be part of the Polaris family, they will always be welcome and we will be continuing to sell these world class motorcycles for some time. “Victory has struggled to establish the market share needed to succeed and be profitable. “The competitive pressures of a challenging motorcycle market have increased the headwinds for the brand. Victory Motorcycles launched in Australia in October, 2008 with a concept store based in Melbourne, which raised the bar for motorcycle retail in Australia. Polaris opened three other Victory flagship stores and developed independent dealers in major markets across both countries. Alexander said Australia established itself as the largest unit selling volume market for Victory outside North America. Federal Chamber of Automotive Industries yearly motorcycle sales figures up to September 2016 show 2583 units have been sold in the country since day dot.